Soon after a fire broke out at the Cineplex Platinum Plaza in Madhya Pradesh, fire tenders rushed to the spot. No casualties have been reported so far. 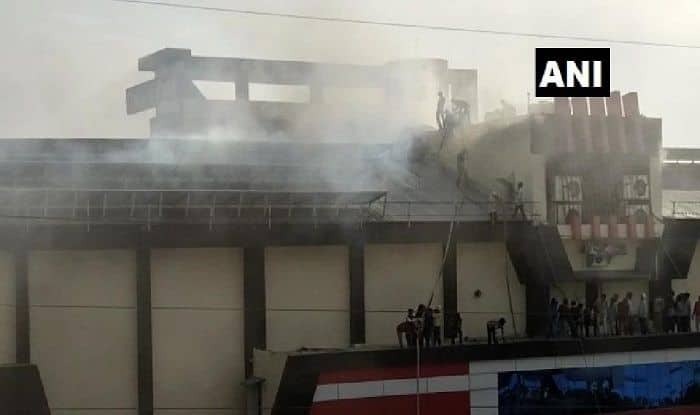 Bhopal: A fire broke out at the Cineplex Platinum Plaza in Saugor Makronia of Madhya Pradesh on Friday. Immediately after the incident, fire tenders rushed to the spot to douse the flames. More details are awaited in this case. So far no casualties have been reported in the incident. In a similar incident on February 1, a huge fire broke out in National News Print and Paper Mill, a public sector enterprise of Nepanagar in Madhya Pradesh’s Burhanpur district, said a senior official. The official added that no one was injured in the blaze. The fire reportedly burnt all the plastic waste lying in the premises. Soon after the incident, four to five fire tenders were at the spot to douse the blaze.